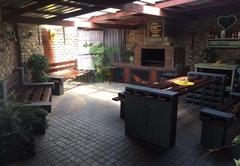 West Street Inn is one of the highly recommended Ermelo guest houses and provides accommodation in 11 guest rooms for tourists visiting the Grass & Wetlands region. 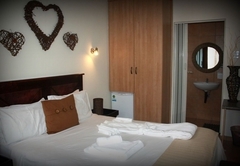 West Street Inn specialises in the supply of executive and luxury accommodation. We offer market related prices to which value for money is guaranteed. 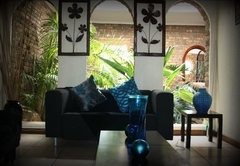 Our rates are well under the usual four star guest house price range. 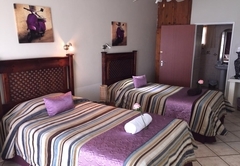 We are ideally located in the quiet suburbs of Ermelo, Mpumalanga and offer you 40 en suite fully equipped rooms. 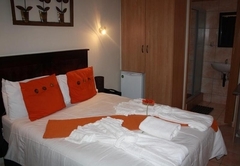 We are located close to the CBD and most of the popular restaurants in town. 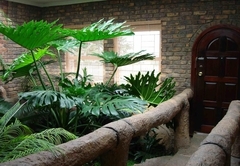 Upon arrival, you will be stunned by the ambiance and lay-out of our decor and facilities on offer. Why not spoil yourself with the gown provided on your bed while indulging in the chocolate on your pillow? 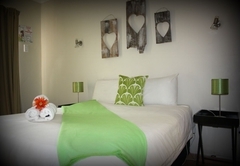 We offer a selection of Twin Rooms, Double Rooms and Family Rooms. We offer a full English and Continental breakfast, your eggs and omelette are prepared to your preference by our highly experienced chef. We offer other scrumptious meals i.e lunch and dinner also served to perfection. 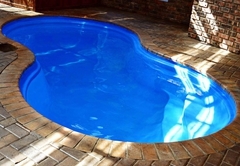 We pride ourselves with our highly committed and trained staff with the your needs always in mind. 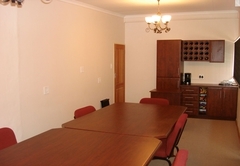 Our approach is richly based on our values: friendly and accommodating, and we will assist in any way possible. During your stay, you will surely experience our legendary “Service with a Smile” - Can do Attitude. 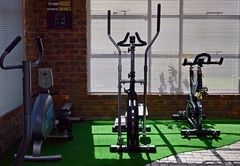 The wellness spa is fitted with a indoor heated swimming pool, a sauna and a fully fitted gym. Our conference coordinator is capable to host the conference to meet your specific needs. 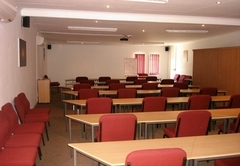 Any style seating arrangement, and a digital projector, sound system, mic, flip chart, meals, printing, notepads and pens are available. High quality Double. Reading lamps, Ceiling Fan. Wi-Fi Connectivity. Heater. Electric Blanket. Bar Fridge (Stocked on Request). Hair Dryer. Coffee & Tea making facilities. TV 14 Channels (7 DSTV). Gowns on request. High quality Double and Twin beds. Reading lamps, Ceiling Fan. Wi-Fi Connectivity. Heater. Electric Blanket. Bar Fridge (Stocked on Request). Hair Dryer. Coffee & Tea making facilities. TV 14 Channels (7 DSTV). Gowns on request. High quality Double and ¾ beds. Reading lamps, Ceiling Fan. Wi-Fi Connectivity. Heater. Electric Blanket. Bar Fridge (Stocked on Request). Hair Dryer. Coffee & Tea making facilities. TV 14 Channels (7 DSTV). Gowns on request. What an absolute joy! The service is excellent and you guys really went out of your way to make our stay memorable. You are definately now a friend of the Road Hogs Louis Trichardt. Thanx Christelle and team!! 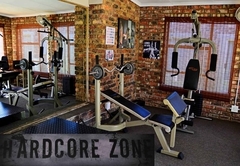 Hey hey wil net op die website kom skryf hoe Fab julle is en hoe baie ek vir julle mis!! 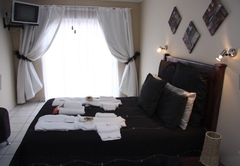 Response timeWest Street Inn typically responds to requests in 5-10 minutes.